Gou plans to step down in the coming months to pave the way for younger talent to move up the company’s rank. Foxconn’s Chairman Terry Gou said on Tuesday he is considering whether to run for Taiwan’s 2020 presidential election, a day after Reuters reported the tycoon planned to step down from the world’s largest contract manufacturer. Speaking on the sidelines of an event to mark the 40th anniversary of Taiwan-US ties, Gou declined to say which party he could represent, though he said if it was the opposition, China-friendly Kuomintang (KMT), he would “go” with the standard procedures of the party. Gou, Taiwan’s richest person with a net worth of USD 7.6 billion according to Forbes, told Reuters on Monday he planned to step down in the coming months to pave the way for younger talent to move up the company’s ranks. The company later said Gou will remain, chairman of Foxconn, though he plans to withdraw from daily operations. A senior US official denounced the military manoeuvres as “coercion” and a threat to stability in the region. “If we spend the money for weapons on economic development, on artificial intelligence, on investment in the United States, this would be the biggest assurance on peace. Morris Chang, the founder of Apple supplier Taiwan Semiconductor Manufacturing Co Ltd (TSMC), retired as chairman last year. In September, Jack Ma, co-founder of Chinese e-commerce giant Alibaba Group Holding Ltd, said he would step down as chairman in a year to allow for younger management. 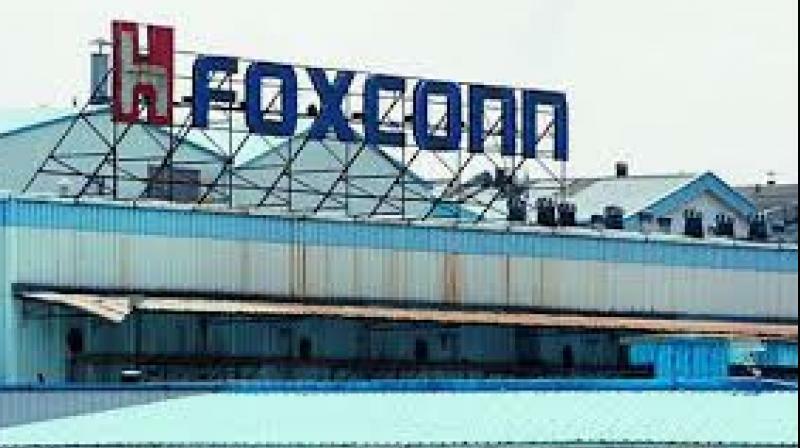 Founded in 1974, the Foxconn group is the world’s biggest contract manufacturer with TUSD 5.2 trillion (USD 168.52 billion) in annual revenue. It assembles goods for a miscellany of global tech firms but relies on Apple for over half of annual revenue, analysts said.